Nintendo already had its eyes on making a TV-based games console portable when it released the Wii U back in 2012. Sadly, the lack of games, the extremely slow loading of games, and an even more irritatingly slow OS failed to catch on when compared to what the Xbox 360 and PlayStation 3 were doing at the time. What did show promise was the option of taking your gaming away from your sofa, albeit in a streaming form that would still lock you into your home network. The Nintendo Switch tries to take things a step further with a fully portable games console that can also be used with your TV in Full HD, no streaming necessary. Nintendo has always been a pioneer when it comes to trying different things in the gaming world, from the dual-screen Nintendo DS to the motion controls of the Wii, Nintendo can never be accused of following the herd. The Nintendo Switch is no different. 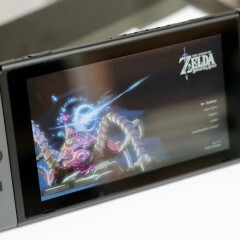 While others continue to focus on solely TV-based consoles, some of which allow games content to be streamed to other devices such as the PlayStation Vita or some mobile phones. Nintendo wants you to be able to take their console anywhere without tying you to your Wi-Fi network. I purchased the grey Nintendo Switch on Friday, it was the only model left and from a personal preference the neon model doesn’t interest me luckily. 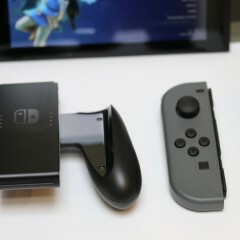 In the Nintendo Switch box you get the main console (the touch screen tablet), two detachable controllers which we will talk about in detail later, a grip which lets you combine the two controllers into a more modern gamepad style, straps which can be put onto the controllers, and the dock which lets you connect the Nintendo Switch directly to your TV. 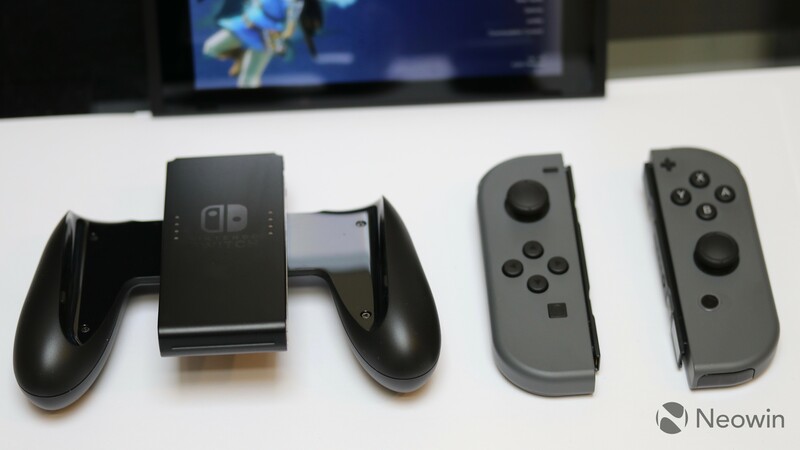 The box also comes with a short HDMI cable and a USB Type-C power cable that can be attached to the dock or directly to the handheld console to charge it up. From a design standpoint, the Nintendo Switch handheld console looks bigger than most handheld devices I have used for gaming such as the Vita or 3DS. At the top of the console, you have a headphone jack, volume controls, and a slot where you put in your game cartridges. Sadly, despite the console supporting Bluetooth, there are no options for using headphones or headsets with the Nintendo Switch, something I hope the company can rectify in the future. At the bottom of the console you have the very cheap feeling kickstand which lets you stand the console on a flat surface such as a table, this also hides the microSD slot which most gamers will sadly have to make use of in the future thanks to the sparse internal storage of 32GB. Games on physical media do not have to install to the Switch, they are played directly from the game cartridge, but the lack of storage will be an issue for many gamers, especially those that choose to download titles from the store. There is even the possibility that some games may fill up that 32GB in one go in the near future, especially once more third-party games arrive. You also have to take into consideration the screenshot function, which can take up space surprisingly quickly if you like to take a lot of screenshots of games like I have done. Rounding out the console itself, on either side of the Nintendo Switch you have slots to attach the controllers which the company have called “the Joy-Con” which I will talk about later in the review. 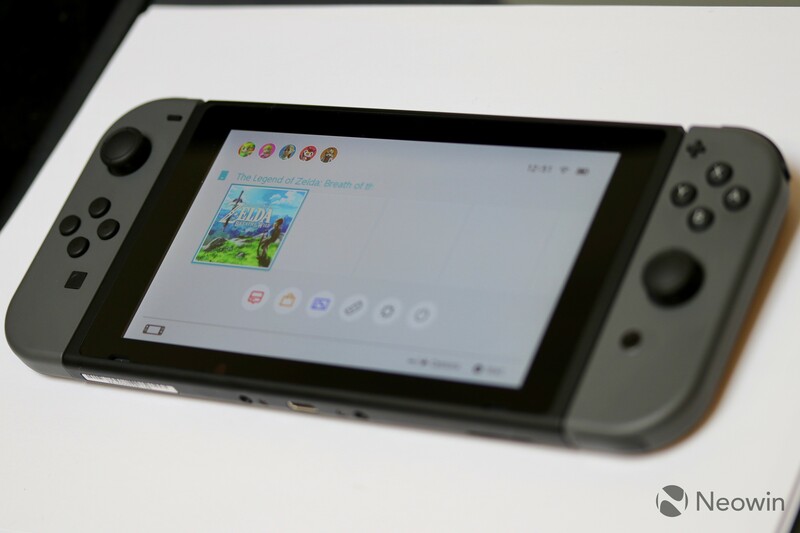 Once you have taken everything out of the box, it is time to hook your Nintendo Switch to your TV, assuming you even want to have it setup that way as you could always use it as a purely handheld gaming device if you really wanted to. You connect the switch dock up to the TV via the provided HDMI lead and the USB-C power cable. Once this is done you can turn the Switch on for the first time. 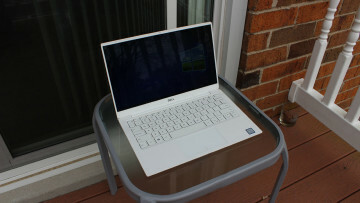 On first boot, you have to enter your Wi-Fi network details and then setup user accounts. I added my own and other members of my family in one go. It is a very easy setup as you can input text on the touch screen or though navigation with the Joy-Con. The Nintendo Switch also lets you setup any parental controls you want to use such as how long certain users can play games for or browse, it is simple but it works. Once the basic setup is complete you can play games right away, although I made the decision to link up my Nintendo store account with the Switch first – something that took a little longer than the original setup due to me forgetting my username and password! When that was completed, I could access the Nintendo Switch store with ease. 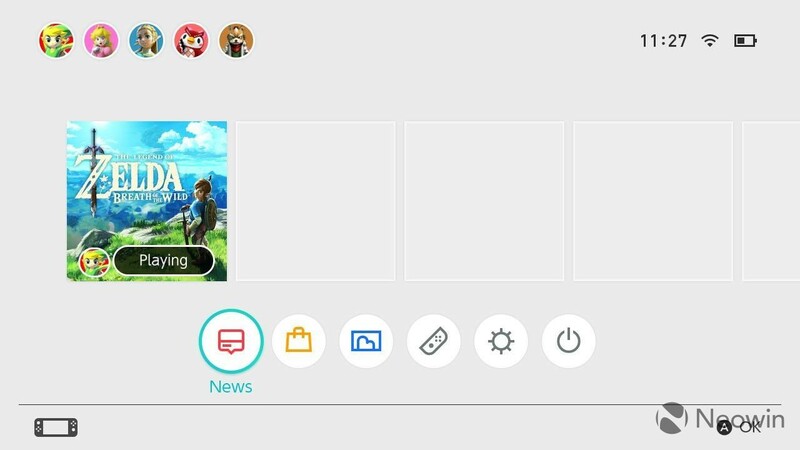 The UI for the Nintendo Switch is very minimalist, which is a good thing. 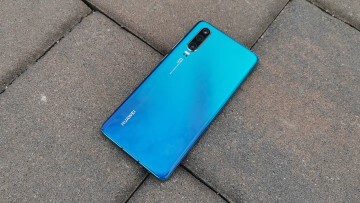 It means it is fast, easy to navigate and never gets in the way of what you want to do, though how this will pan out in the future as more apps and games come out remains to be seen. Nintendo has always been known for its range of controllers, we have had the excellent NES and N64 controllers and we have then moved into motion control with the Wii. 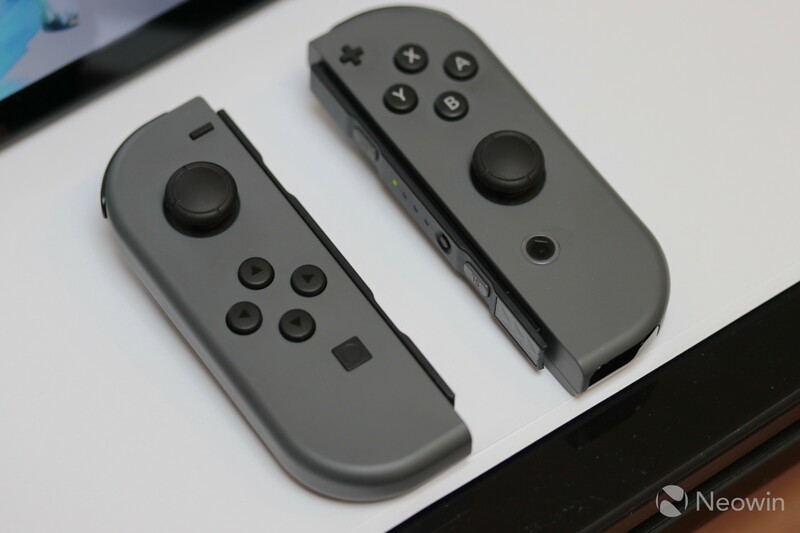 The Nintendo Switch tries yet another style, this time trying to create two separate controllers which can interlink into one while also being able to attach to the portable console for handheld modes. Let’s get the layout of the Joy-Con out of the way first. 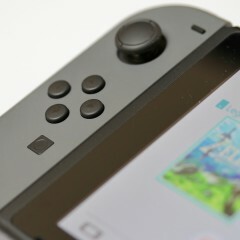 The right-hand Joy-Con has the usual A, B, X and Y configuration and layout that Nintendo prefer the use, an analogue stick, and two shoulder buttons. It also has a tiny plus shaped button at the top and a home button at the bottom. When detached from the handheld you also get SL and SR buttons on the side of the controller along with the Sync button if you ever need to use it. On the left Joy-Con you have pretty much the same, except that instead of the plus-shaped button you get a minus button and an excellent share button which lets you take screenshots in game or while using the OS. 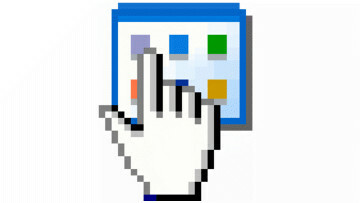 These screenshots can then be posted to Facebook or Twitter within the OS. Both Joy-Con can also be used as an individual controller too. 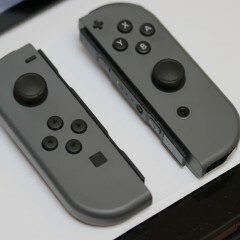 The Joy-Con are very easy to attach and detach from the Switch, all you need to do to detach them is press a small button at the rear of each controller and slide them out. To reattach them back - you just slide them back in until you hear that synonymous Switch click sound. The Switch UI also knows which colour and type of controller you have attached thanks to varying prompts which appear on screen at times. However, whenever you try to offer a range of control options you know that there will have to be compromises in all modes, this sadly means that the Joy-Con suffer and never it ends up feeling like any of the modes work or perform perfectly. That isn’t to say that they are unusable, far from it in fact – but not once can I say that I felt like they were comfortable to use or did everything I wanted to them to do in ways that the Xbox One controller and Sony’s DualShock do. 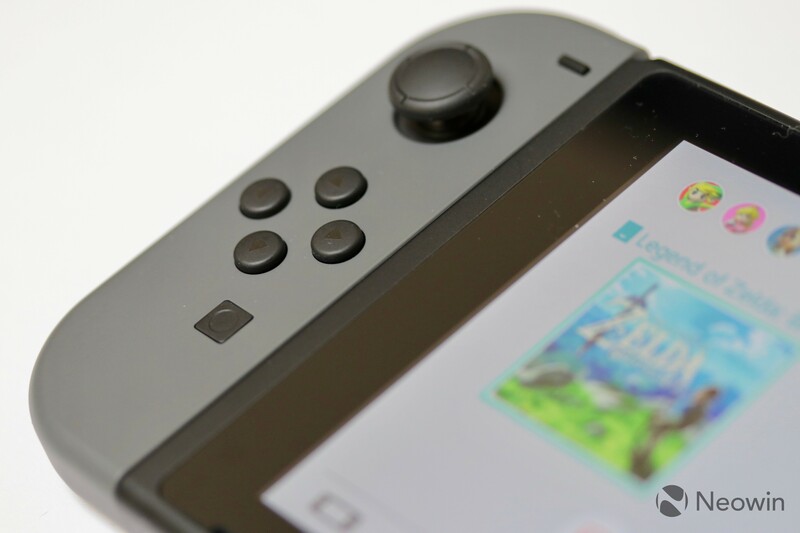 For example, Nintendo replaced the D-Pad used on their previous controllers and many others with the A, B, X and Y buttons, when playing a fighting game like many gamers will want to do, this is far from perfect. Despite this, Nintendo does offer the option of buying a Pro Controller separately - but it is not cheap, especially when you have paid out so much for a new console. I also found the pads quite awkward to use at times, more so in handheld mode, my left thumb kept slipping down and it felt as if I was always over stretching my thumb which means it becomes uncomfortable the longer you play. One thing the Joy-Con do excel at is HD Rumble, even in a game like The Legend of Zelda: Breath of the Wild. I﻿t works really well by vibrating the controllers in your hands warning you a creature of great size is coming, let alone how well it does with intricate haptic feedback in 1-2 Switch. I can’t explain just how good this feature is but I can see many companies making great use of it. Nintendo’s online service for the Switch will be free, but only up until the fall when Nintendo will start to charge gamers to play their games online in a similar way to which Sony and Microsoft already do. Nintendo will also offer up free monthly games as part of the subscription, great news I hear you cry? Where Nintendo differentiates itself from what Sony and Microsoft have to offer is that their service will offer games that are nearly 20 years old. The bad news doesn’t stop there either, with Nintendo only offering the titles for a month at a time, and once the month is up you cannot play them unless you fork out money to keep them. 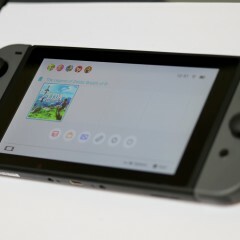 The Switch also currently lacks apps like Amazon Prime and Netflix, both perfect for a handheld device, although Nintendo has said they are working with companies to get these live as soon as possible. Nintendo has also carried over their "Friend Code" system from their previous console generation. It is a shame there are not more ways to find friends who have a Nintendo Switch, but this does at least allow for you to be more wary about who you give your code out to. 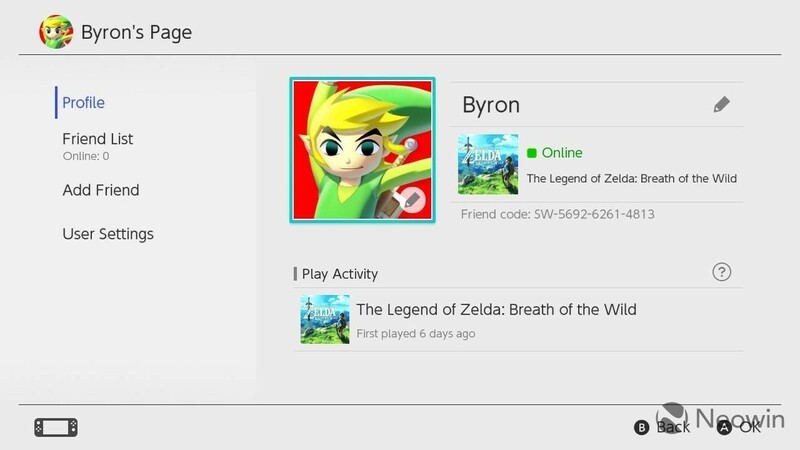 The friends list works as you would expect, though my friends on the console are pretty minimal right now. The eShop online store is pretty similar to the one that was available on the Wii U in the past. It lets you download a selection of games to the Nintendo Switch, but be warned that some games are hefty in size and when you only have a limited 32GB of space on the Nintendo Switch, you will use it up very quickly. Also, as is always the case with any online based store on a console, be aware that the prices are very high when compared to those in stores or on sites like Amazon, with some titles costing £10-15 more than what you might find on the high street. 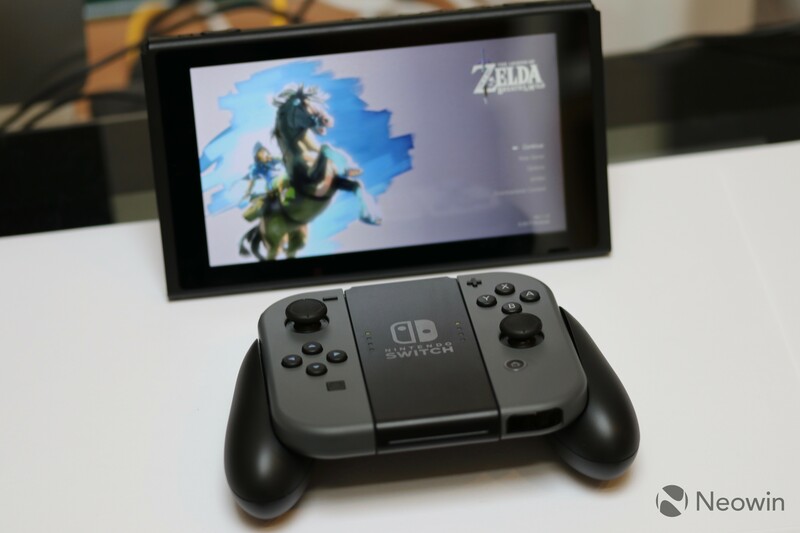 The Nvidia Tegra X1 chip that powers the Nintendo Switch is something I have had a lot of experience with gaming wise thanks to owning an Nvidia Shield TV device which runs a similar chipset. Unlike the Shield, which states it can do 4k output, the Switch cannot, it is purely a 1080p device and nothing more. What is interesting here is that the majority of Shield TV games that are out there are Android ports and are rarely graphical showcases, so I was already expecting the Nintendo Switch to be a little lacking in the power department. Taking into consideration that this is very early in the Nintendo Switch’s life, my first instant impressions were that the graphics are not going to blow you away, even in handheld mode when things seem to run smoother. 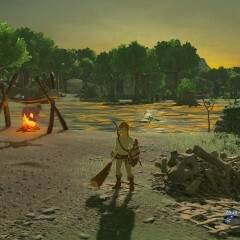 Using the Switch’s flagship launch title – The Legend of Zelda: Breath of the Wild as the example, the game runs at 720p when playing on the Switch as a handheld. The game isn’t graphically intense, has a number of low-quality textures and lots of aliasing, though the viewing distance is very good. 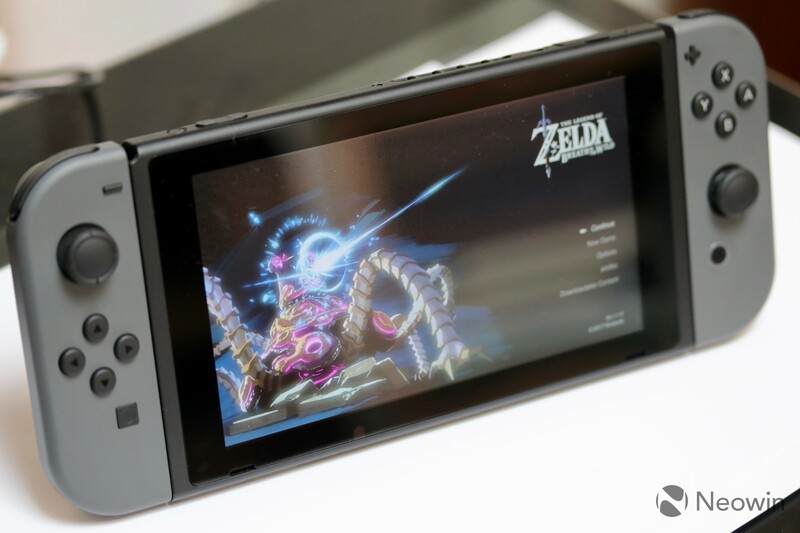 When playing Zelda in handheld mode, the console runs the game at 720p resolution which matches up with the native resolution of the Switch screen, it also hits 30fps all of the time which means you get a very smooth and enjoyable experience. Sadly though, when you plug the Switch into the dock and run Zelda in TV mode, the console runs the game at an increased resolution of 900p, but struggles to keep a smooth frame rate, dropping to the low 20s quite regularly. 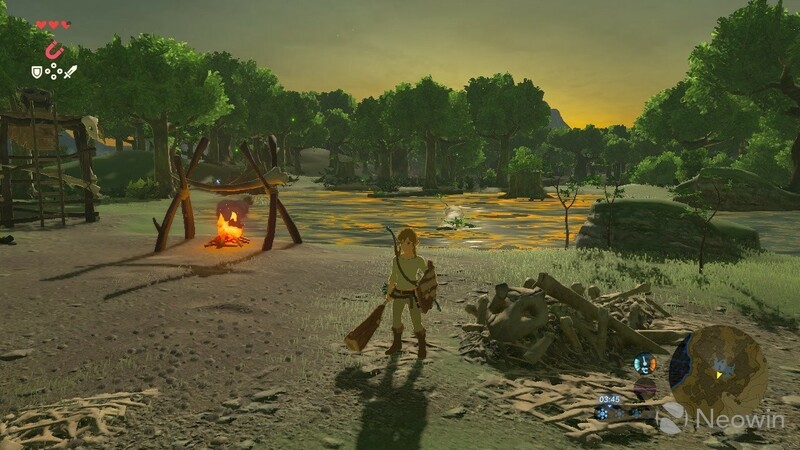 Although frame rates in some games don’t bother me, with Zelda it does as it can come at random times and upset what you were trying to achieve in the game. At the moment this issue seems to only be with Zelda amongst the launch titles, so there is hope that a fix will be inbound and that it isn't a performance problem with the Switch itself. Thankfully Zelda has a fantastic art style and you can look past these issues in the game most of the time but it is a worry when a launch title years in the making cannot stay at a steady 30fps at 900p when docked, especially one that isn’t graphically intense. 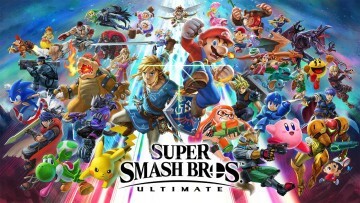 I would even happily have the gameplay at locked at 720p 30fps in docked mode just to have a smooth experience that matches that of the handheld mode. Please give us that option Nintendo. I’m not an expert when it comes to the reasons why this happens and it may be a simple streaming issue when the Switch is connected to the dock, but to me as a user it makes me a little worried that the Nintendo Switch may have future performance issues with games due for release, especially when Nintendo are trying to lure in third parties. So don’t come into the Switch expecting it to compete with the Xbox One or PlayStation 4 as it clearly cannot performance-wise and is more on a level with an Xbox 360. The quality of the screen on the Nintendo Switch is what really helps the device shine when in handheld mode, despite it being 720p resolution. It is bright and clear and the colours pop out. No, it can’t compete with the likes of an iPad, but it is much better than anything Nintendo has released in the past. Sound quality from the handheld is very good, it is clear and even raising the volume high doesn’t result in tinny output. When attached up to a TV you can get full 5.1 surround sound, which in a game like Zelda is perfect. Nintendo claims that the battery on the Nintendo Switch when in handheld mode can last anywhere between 2.5 and 6 hours. So far in a week of use this is pretty accurate. As with many other people, my main title has been Zelda and I tend to get around 3 hours out of the battery before I need to plug it into the dock. You can play in handheld mode while charging too if you want to connect the USB Type-C cable directly to the Switch rather than through the dock, though most users will just sit it down in there and play on the TV while it charges. So overall the battery is ok but nothing special, it will last you short commutes but anyone flying overseas will need to bring their charger or a suitable portable battery pack to get any further use out of it. It is almost impossible to judge a console like this in the first week of launch but Nintendo has a very clever and capable handheld gaming device here. The big issue is one that will reveal itself over the next year, just how many games get released on it and if their online service offering can compete with the big hitters like Sony and Microsoft. The console itself is a very powerful handheld gaming device, that when attached to the TV becomes a capable looking but previous-generation feeling console. The Joy-Con try to do too many things at once and never excel at any of them, but again they are perfectly useable. The battery life of the console isn’t the best either so short journeys are the best you’ll get out of a single charge. Don’t think I don’t enjoy playing the Nintendo Switch though, I have spent hours playing on Zelda in handheld mode and the ease of which you can just pick it up and go off somewhere can’t be matched at the moment. 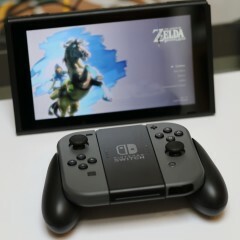 Right now, I wouldn’t buy one unless you feel you must play Zelda, which, by the way, is an amazing game and deserving of all the praise it has had thrown at it. At $299.99/£279.99 it is a high price to pay for something that you may only play one game on for a while.